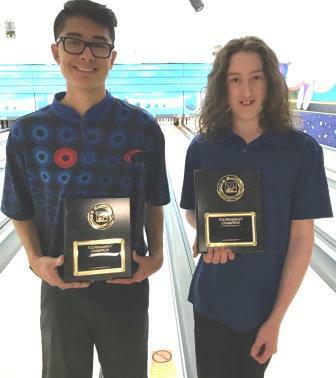 Cortez Schenck and Deo Benard captured JBT titles to wrap up the 2016-17 New Mexico-Texas Conference regular season with wins at Silva Lanes in Albuquerque. Kyle Duster won round one of the stepladder finals with a 257-201 win over Zach Harvey. Duster rolled on past Angel Ortega 242-215 in round two, and struck even more in the semifinal with a 258-205 win over Nick Devlin to advance to the title game. Top seed Cortez Schenck took over the lead in game five and never looked back. Scores were lower in the title game, but in the end Cortez had enough for a 214-199 win and the 89th title of his JBT career. Matt Ross continued a hot streak of late with a 199-158 win over John Green to begin the handicap stepladder finals. Kyle Perry, who already accomplished his mission by making the top 10, did even better by beating Ross 206-167 in the next round. Newcomer Alek Rakov then stopped Perry 218-170 to advance to the final match. Rakov fired a wonderful 224 in the title match, but could only admire top seed Deo Benard, who trusted his ball out to a 1-board break point repeatedly, including the tenth frame strike that locked it up. His 263-224 final score win was good for the first title of his JBT career. 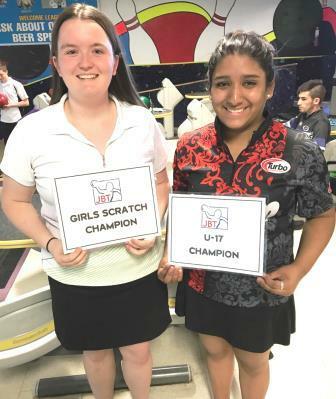 Adel Wahner, off a successful freshman season at Vanderbilt, beat Aileen Linares for the day's Girls Scratch title. Linares got her revenge in the U17 title match though, beating Daniel Hall to win that event. Big thanks as always to the crew at Silva for hosting us. The field is now set for the NM-TX Invitational, with $1,000 top scholarships up for grabs!